We have seen many statement outerwear, starting from colorful furs to cozy shearling and leather designs. 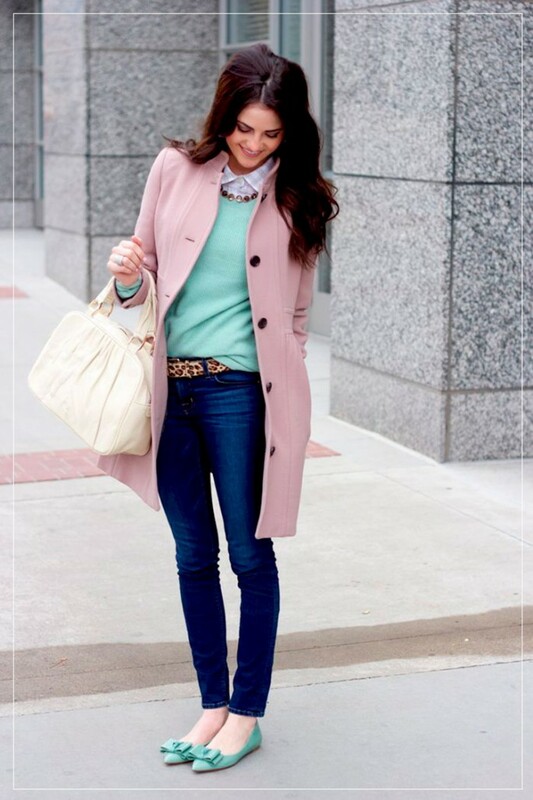 But when it comes to simple and ladylike cover-ups, you can't go wrong with a pastel overcoat. The sweet shade makes you look feminine and soft. Personally, I find these cover-ups to be fresh and timelessly cool. In this compilation are gathered beautiful designs in powder blue, creamy white, blush, super light grey hues and mint colors. It looks like everyone has fallen into candy colored coats, as I see that runway and streets are crowded by this trend. We see lady who is wearing pastel blue coat styled with cuffed slim-fit jeans and shiny silvery block heel sandals. Speaking of silhouettes and styles, then I see women tend to choose this year classic, mannish shapes, fuzzy oversized, as well as swingy, mod 1960's inspired designs, tailored looks, fit-and-flare shapes, cape-coats, draped versions and bomber styles. What I do like about modern women is they create simple, classy and unexpected outfits where each one looks differently and always on spot. It's a perfect choice for those ladies who want to breathe new life into their wardrobe. I have rounded up awesome ideas to share with you, my dear readers. 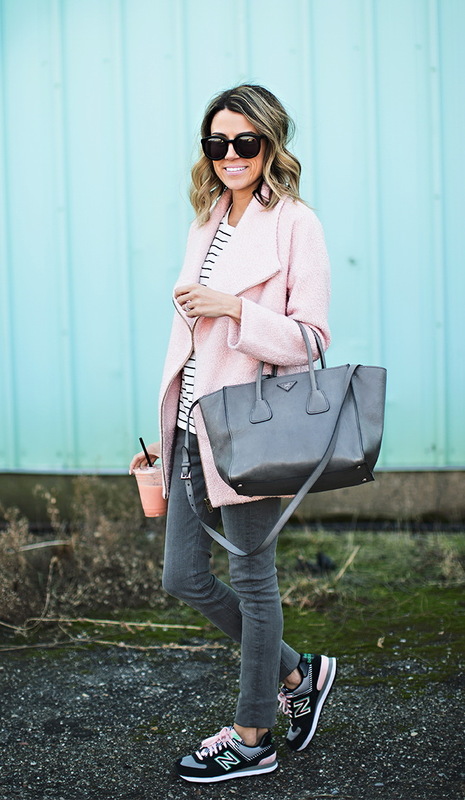 I am sure these images will prove you need a new pastel outerwear in your life, so keep on scrolling to see my favorite designs.